Win32 specifies any of the recent Microsoft Windows operating systems. The Win32 programs were compiled with Microsoft Visual C++. CWEB 3.64, a WEB for C, or C++ programs, was written by Donald Knuth and Silvio Levy. Port of CWEB 3.64. The program cweb.exe installs the the CWEB system. The package includes cweave and ctangle executables, source code, manuals, and examples. A program to convert existing C++ projects into CWEB source code is included. Here are the installation instructions. César Crusius. The MATH library is a C++ matrix algebra library designed from scratch to take advantage of the possibilities the language offers. 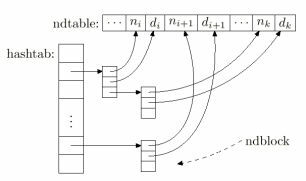 We have only one matrix class, and we can modify its structure and storage method independently. Cameron Smith developed a CWEB version of the reverse polish notation (RPN) calculator from chapter 4 of the Kernighan and Ritchie C book. Lee Wittenberg adapts the string class described by Stroustrup to demonstrate the use of CWEB for C++ programming. The idea behind CWEB is that a single file (*.w) contains both the source code and associated documentation. CTANGLE extracts the source code for the compiler. CWEAVE prepares the documentation for pretty printing. CWEB supports sections which is a means of chopping up a method implementation into chunks. CWEB sections can be defined (presented) in any order. CWEB listings are generated using the TeX typography system. The documentation can include formulas, tables, and pictures. The CWEAVE tool automatically creates an index and table of contents. Donald Knuth is the inventor of TeX and literate programming, Professor Emeritus at Stanford University, winner of the ACM Turing award, and author of "The Art of Computer Programming". His favorite programming language is CWEB. Visit Knuth's website at Stanford University. Read his biography, courtesy of fatbrain.com. Fatbrain's interview, "An Interview with Donald Knuth"
Byte's interview, "Knuth Comments on Code"
Advogato, "Interview: Donald E. Knuth"
Technology Review's article, "Rewriting the Bible in 0?s and 1?s"